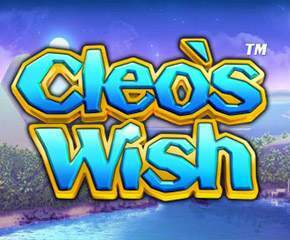 Cleo’s Wish is a five reels and twenty-five paylines online slot released by NextGen Gaming. It is inspired by ancient Egyptian theme. This slot has a fantastic gameplay, and thus, it is becoming popular all throughout the world. Cleo’s Wish also offers various impressive bonus features that provide good wins. This slot features cartoon styled graphics and a cool piano soundtrack. It is set on the Nile river and includes the symbols such as 9, 10, J, Q, K, A, bracelets, ankhs and scarab beetles and Cleo’s Wish logo. The wild symbol is Cleopatra, and she rewards the players with five-hundred coins for five on a payline. Also, it will substitute for all the other symbols except Pyramid scatter icon. This slot is playable with the minimum and maximum bets of £0.30 and £60.00. Within the base game, there are three randomly activated features. Sands of Fortune: Here, all the logo, bracelet, ankh and scarab symbols will get transformed into a same randomly selected symbol for the more significant wins. Added Wild: here, during the base game, the wilds will be randomly put to any position upon any reel. Guaranteed Wild Reels: here, up to the five reels (starting from the reel one) will become wild with Guaranteed Wild Reels for that spin. The players can also win with the extra wilds put to the reels any time. Cleo’s Parade: under this, the stacked wild symbols will appear on the reel five. A stack of the wilds will move one reel towards the left with every free spin. The stacked wilds will also appear on all the reels with an extra stack of the wilds being held. They will keep moving one reel towards the left with every free spin. If the players get three scatter symbols again, a stack of the wilds will occur on the reel five. This feature only ends whenever the final stack of the wilds reaches the reel one. Eternal Riches: here, one will get five to ten free spins. Any wild that occurs during free spins increases the Super Spins Win Multiplier to three. The maximum value of Super Spin Win Multiplier will be 20x. Also, any scatter which occurs during free spins will add three points to the Super Spins Spin Meter.Once this feature ends, the players will play out Super Spins feature. 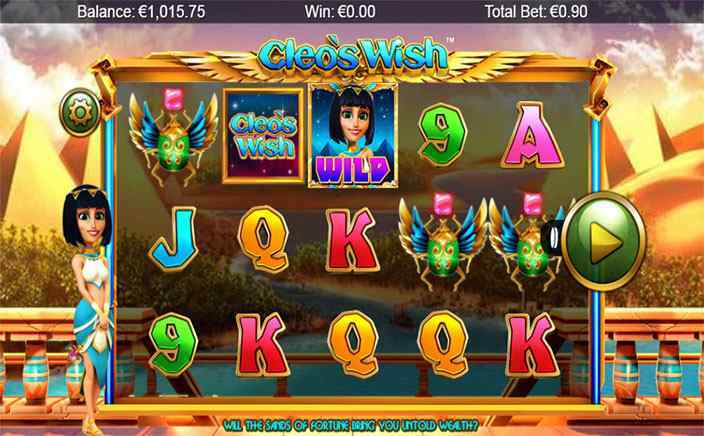 Cleo’s Wish is an exciting slot that has mind-blowing visual effects and animations. This is a high variance slot, and the players can expect to make some huge wins.